Find the perfect box using the BOXED-UP Box Finder, enter your requirements below and we'll do the rest. Next parcel collection is in 3 days 12 hrs 32 mins Buy before then to get free UK Mainland delivery, for the next working day. Find the right box for you with our Boxed-Up box finder. 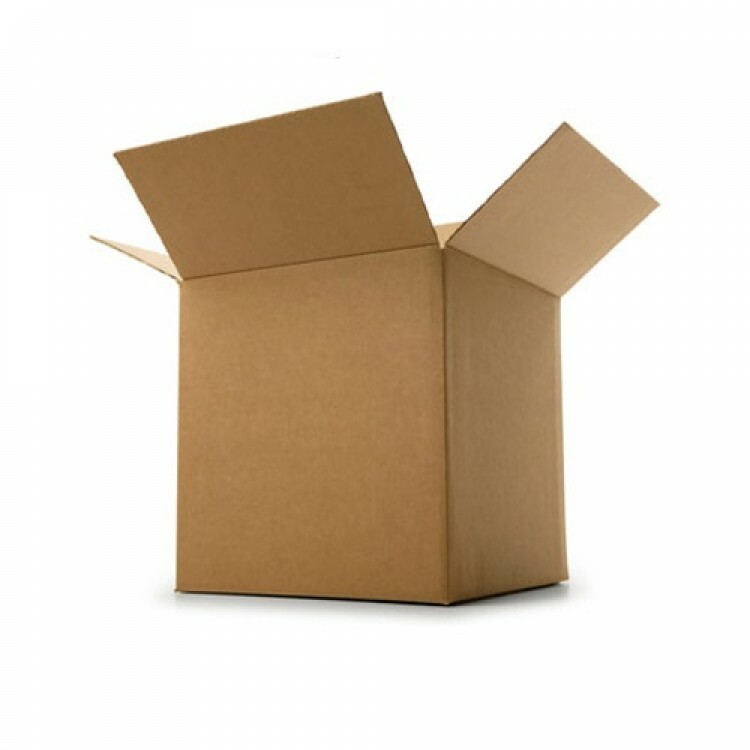 Double Wall Cardboard Box 5" x 5" x 5" (127mm x 127mm x 127mm) - Size: 5x5x5"
Our postage boxes are made with top quality board and come in a range of sizes that are suitable for shipping through the postal system. Perfect for the following uses: Postage, Packaging, Storage and archiving. You’ve placed an order on Boxed-Up or are thinking about it. Naturally you are wondering what you can expect in terms of our packaging delivery terms to you. All orders are shipped flat-packed for convenient storage and either shipped via courier or bulk freight, dependent on your order size. Paid orders received before 11:45am Monday to Friday will be despatched the same day*, using a next working day delivery service. (For Bulk orders please allow 78 hours for your order to be processed). Orders received after this 11:45am cut off, will be despatched the next working day. *Please allow up to 48 hours for your order to be received across November and December. We will endeavour to uphold our next day policy, but due to the volume of orders received during these busy months, the orders will be dispatched in order they are received, which on occasion can mean that your order may take up to 48 - 72 hours to be delivered. Please note that weekends and bank holidays are not considered to be working days. Orders received after 11:45am Friday, and across the weekend, will be dispatched the following working day. We use DHL and they will notify you via text or email once they have received your order, to provide you with an estimated time of delivery. All orders shipped will receive a tracking number, unless shipped via Bulk. If for any reason this is not the case please Contact our customer service team, who will be able to help you further. Delivery to these areas may take up to 2- 3 working days. Please allow extra time for your delivery, if you order from these areas. If you have any queries, please Contact our sales team, who will be happy to help. Orders which are equal to a pallet quantity are known as BULK (1000+). Our website will identify for you when your order has reached a bulk status, with a blue banner at the header of the website and again at checkout. Bulk orders will still be shipped free of charge within the UK, please however allow for 1 - 2 working days for your order to be processed and shipped via freight. All bulk orders items will be sent on a Pallet and sent via a taillift truck. For those customers of ours who live locally you are welcome to collect from our warehouse in Wigan. Just select 'collect from us' at checkout, and contact a member of the boxed-up sales team to discuss how to find our warehouse entrance and a suitable time for collection. Items which are to be collected will be handballed. Please note - During busy times we ask that you allow up to 5 hours to collect your order. At Boxed-Up we offer a 100% satisfaction guarantee. If you are not completely happy with your product, please Contact our sales team who will be able to assist you further. You can return your items to us within 30 days where a refund will be offered upon the safe return of the goods. For 'Set Goods' that include more than one item- all items must be returned together- as per the original order including any free items included in the original sale. Under the distance selling regulations it is the buyers responsibility to cover the cost of return postage in these instances. We take care to ensure our products arrive with our customers in perfect condition. Belmont Packaging take pride in their work and have numerous quality checks put into place to ensure no faults make it past the factory floor. If you believe that our product is faulty or are displeased with the quality, please Contact our team as soon as possible with details about the fault. We aim to resolve any issues quickly and efficiently. You have the right to cancel your order and return any goods that may have been despatched up to seven days from receipt.